Betsy and Tacy are best friends. Then Tib moves into the neighborhood and the three of them start to play together. The grown-ups think they will quarrel, but they don't. Sometimes they quarrel with Betsy's and Tacy's bossy big sisters, but they never quarrel among themselves. 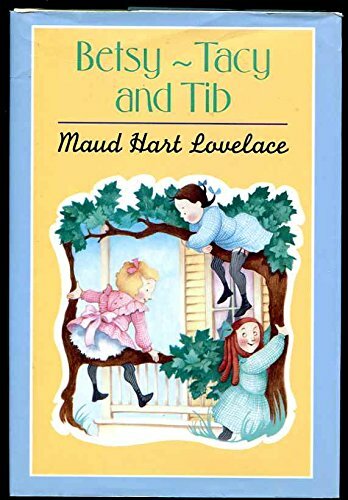 In addition to illustrating the first four Betsy-Tacy books, Lois Lenski (1893-1974) was the 1946 Newberry Medal winning author of Strawberry Girl.